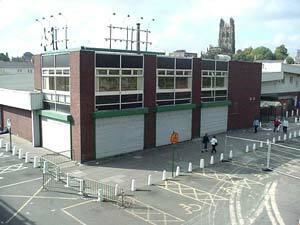 The old Asda store on Eagles Meadow, Wrexham, photographed in February 2001. It was already closed at that time and the new store, below, close to the police station was already open. 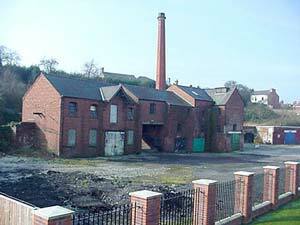 The long-derelict Cambrian Brewery, St Giles Way, Wrexham, left, which was to have been renovated to brew Wrexham Lager, was finally demolished in 2004. 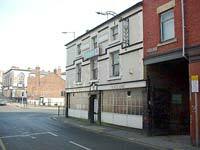 The site is to be redeveloped as part of a larger rejuvenation of this part of the town. The Kings Arms (previously The Horns), Bridge Street, Wrexham, which was also part of this redevelopment site, was demolished in 2004. 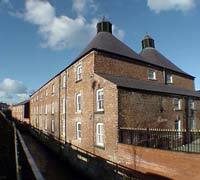 The derelict Island Green Brewery buildings, Pentrefelin, Wrexham were renovated as apartments in 1999. 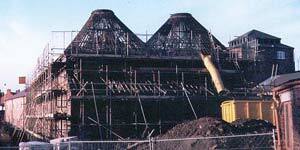 The impressive result is shown on the left shortly after completion in December 1999.